Water hammer due to valve closing is unfortunately a common risk as valve closing dramatically reduces flow – "blocking" the water path. In this short blog, we look at the problem and recommended solutions. Water hammer caused by valve slamming at closing. 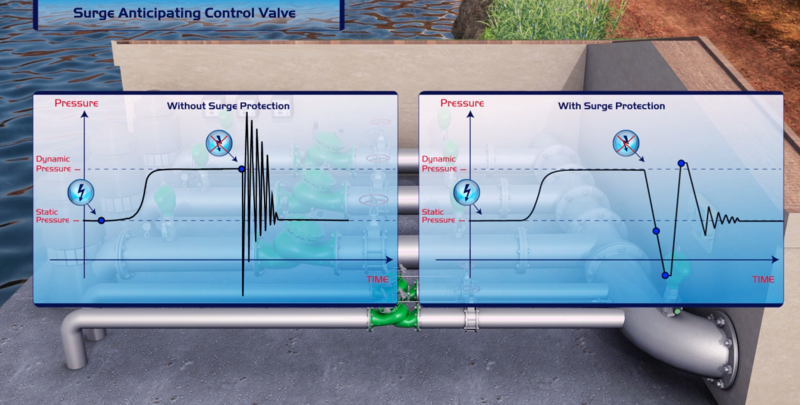 What are Flow Control Valves? Flow control valves are designed to maintain a constant pre-set maximum flow regardless of fluctuating demand or varying system pressure. Flow limiting is required at the outlets from main systems to consumers like secondary systems (main line to hydrant line; hydrant line to distribution line), reservoirs, etc. in order to protect the supplying system from over consumption. 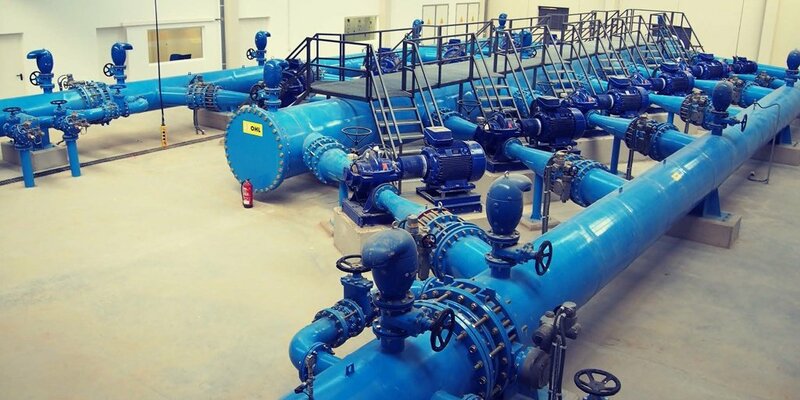 The customer, Hainan Shuangyi, required a solution for delivering water from a reservoir on the Beipan River to an orchard irrigation reservoir on the top of a nearby mountain. As water supply systems such as this one are prone to water hammer, a solution was needed to help protect the mainline from surge damage. What's all the fuss about BERMAD tubeless valves? An internal control valve, also known as a tubeless valve, is commonly used as an on/off valve in residential landscaping and turfs applications. The use of internal control valves is less common in commercial irrigation but can be found quite often in greenhouse applications as they allow operational flexibility (N.O. valve and N.C. valve). 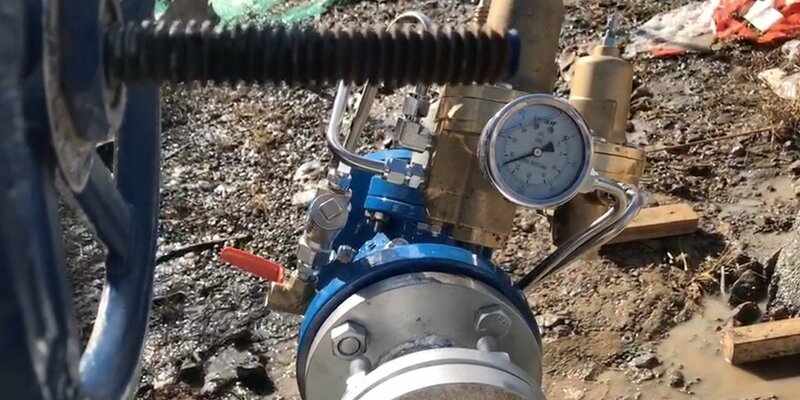 Internal control valves can be also found installed in the in-field headworks of some agricultural communities around the world. CCRR Callen is a 1.872 Ha irrigation consortium with 70 users who grow corn, barley, wheat and alfalfa. The consortium wanted to modernize its irrigation infrastructure because it was outdated, inefficient and required intensive manual operation (the previous system was based on ditches and open channels). Water has always been a precious resource. Today, it is becoming even scarcer and there is an increased focus on energy costs, increased efficiency, and environmental concerns including smarter use of fertigation and chemigation systems. 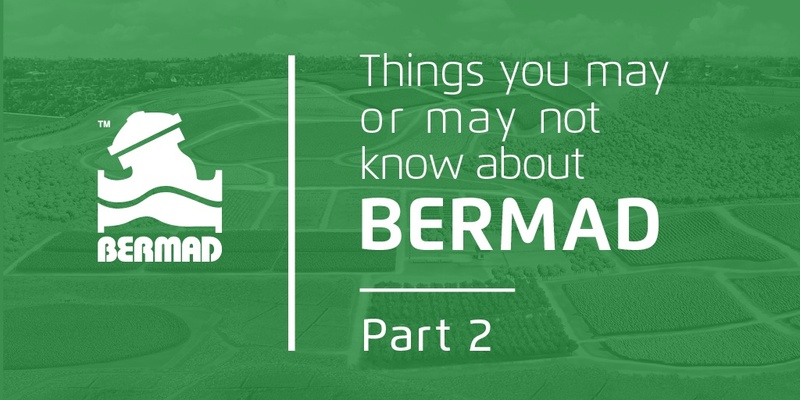 We hope you read and enjoyed part 1 of our “Things you may or may not know about BERMAD” series. To refresh your memory, in this post we included interesting facts about BERMAD and our solutions. For example, the fact that the name BERMAD comes from BEREZ (which means valve) and MAD (which means meter). If you are a farmer or grower anywhere in the world, you probably recognize BERMAD as a trusted name in irrigation. 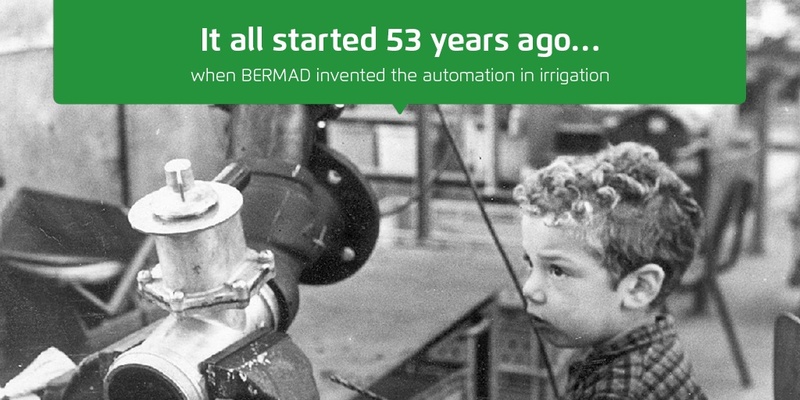 You may already know that BERMAD has been manufacturing proven hydraulic control valves, air valves, and water meters for irrigation systems since 1965, including innovative products for both field and greenhouse applications. And you may even have received irrigation system design assistance from our engineering team, or taken advantage of one of our instructional videos. Since 1965, BERMAD has been interacting with the world’s major designers, entrepreneurs, irrigation companies, dealers and end users – accumulating knowledge and experience in planning and implementing diverse applications that meet a wide range of agricultural irrigation needs. Nowadays, more and more irrigation system designers are choosing plastic over metal components. Bermad’s IR-100 Series is at the leading edge of this trend. 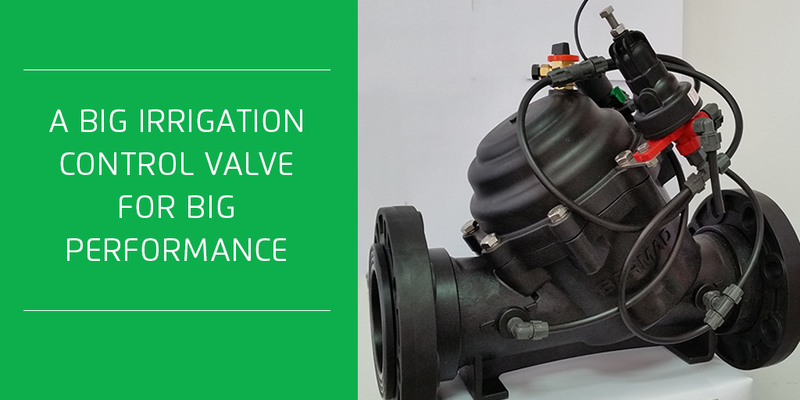 This innovative line of engineered plastic control valves provides unique benefits & features compared to other standard control valves. 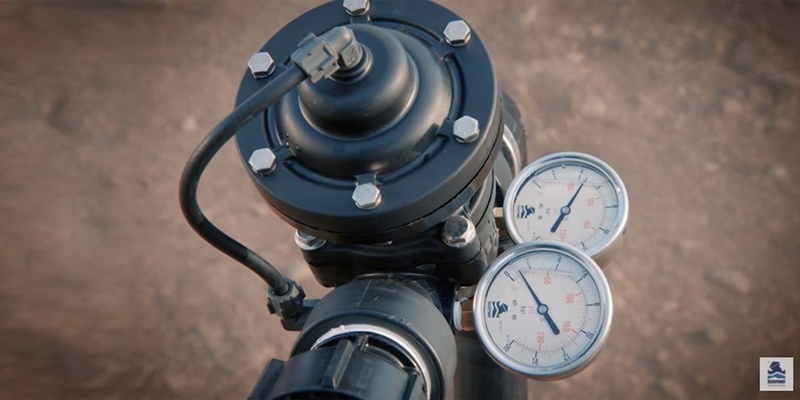 In this video you will learn about a typical installation and operation of a pressure reducing system for irrigation. The system includes two branches installed per operation cycle settings. One branch controls pressure, while the other branch is kept closed in a backup position. 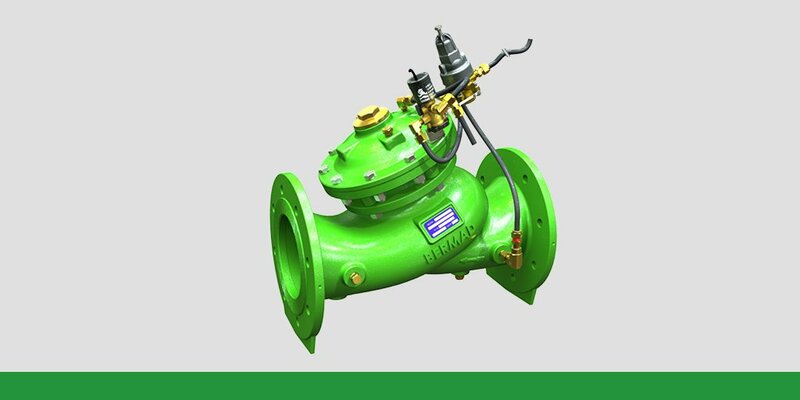 For over 10 years, the Bermad 100 Series Plastic Control Valve has been one of the world's best water control valves. 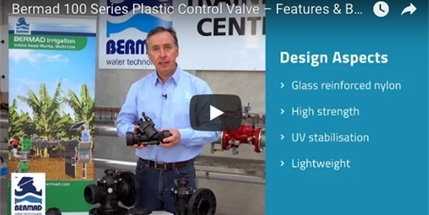 Colin Kirkland, Product Manager for Bermad Australia, will run you through the key benefits and design features of the 100 Series valve. In component design, there is a delicate dance between versatility and specificity. Designing for a specific application helps to ensure that you get exactly what you need. 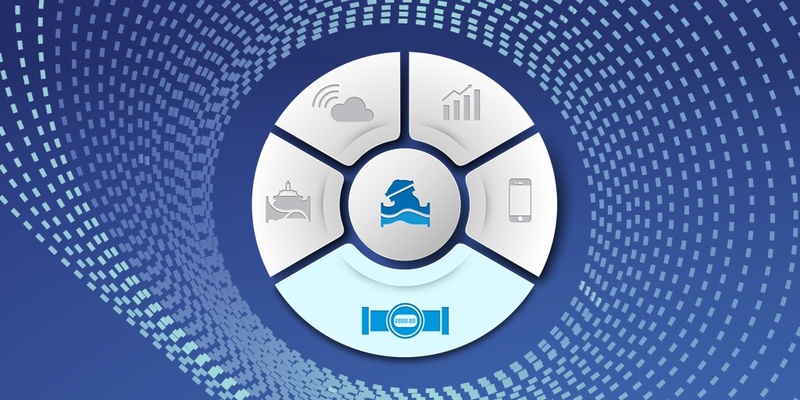 However, it can be highly advantageous both in the field and throughout the distribution and merchandising process to have a component that is suited to a wide variety of applications and situations. The trick to creating such a component is to minimize or eliminate performance compromises while still providing a versatile product. 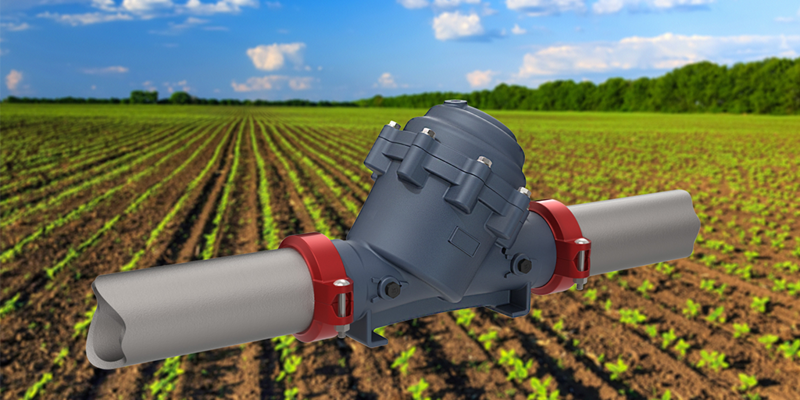 BERMAD is proud to introduce the latest in our line of hydraulic irrigation control valves: the IR-105-4"L/6"R. This high performance plastic valve offers flexible control valve sizing, and can accept a variety of control features. 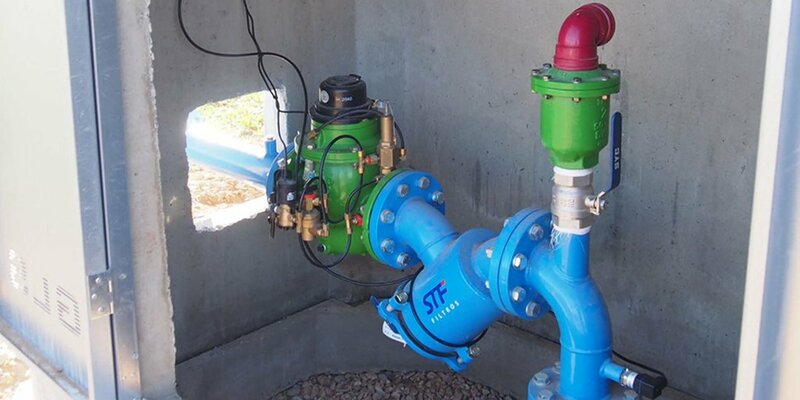 These features can serve as a 4", 5" or 6" Main Irrigation Control Valve, large scale Plot Valve or as a control valve for main supply systems. 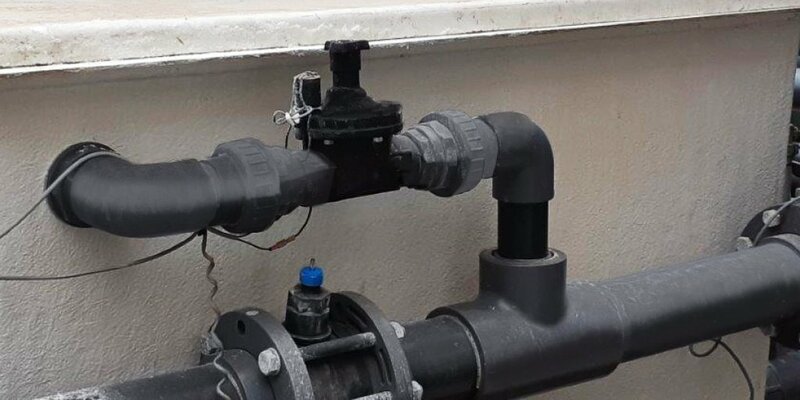 Traditionally, most irrigation components such as pipes, emitters, filters, water meters and control valves, have been constructed of Metal. However, the trend over the years have been pointing more and more towards using Plastic. 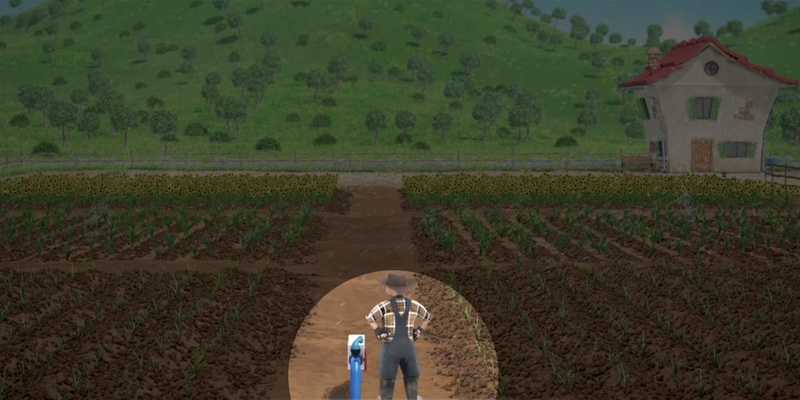 Your irrigation system has been working flawlessly, and you are looking forward to your best harvest ever. But suddenly, you notice that some of your plants are starting to droop. Electrical power failures and fluctuations are common occurrences worldwide, especially in many rural areas. While short-term power loss doesn’t typically result in immediate crop damage, it can have devastating effects on an irrigation system due to the water hammer effect. To design an effective and efficient irrigation system, it’s important to consider the effects of air. 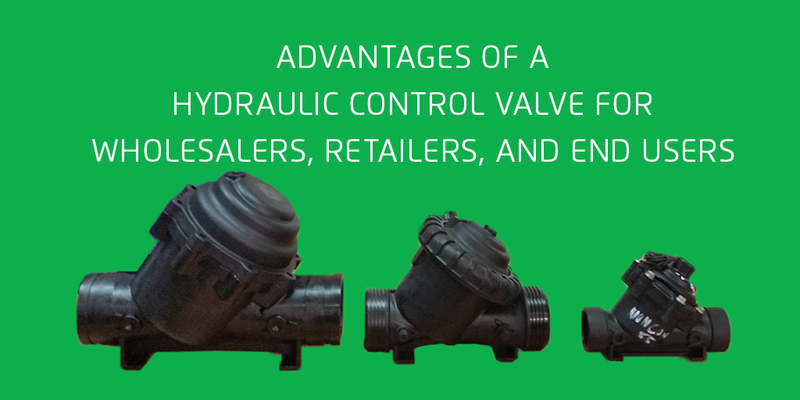 Air can cause all sorts of troubles in your system if it’s not carefully controlled through the use of air valves. While canal systems were once effective for irrigation and traditional farming in India and used for hundreds of years, modern technology together with heavy subsidies from the local governments in India, has made pressurized pipe systems, with SCADA control a better and more effective option. Are You Attending The Irrigation Association's Irrigation Show? At the upcoming Irrigation Association (IA) 2016 show in Las Vegas, BERMAD will demonstrate our vast expertise in providing highly technical products and support that directly integrate into today's irrigation systems. This capability differentiates us from anyone else in the industry. BERMAD has been a regular exhibitor over the years at one of the largest agricultural trade shows in Europe, EIMA International Exposition of Machinery for Agriculture and Gardening. 2016’s show was no exception. 16 members of our team from Italy, France, Spain and Israel attended the event in Bologna, Italy earlier this month, demonstrating our newest and most popular products and our vast expertise in agricultural water flow management and irrigation applications to a record-breaking crowd of 285,000 attendees from 140 countries. BERMAD has been exhibiting our unique solutions at EIMA for over 20 years, and several BERMAD representatives will be in attendance at this year’s show – including representatives from BERMAD Italy and other European BERMAD locations. 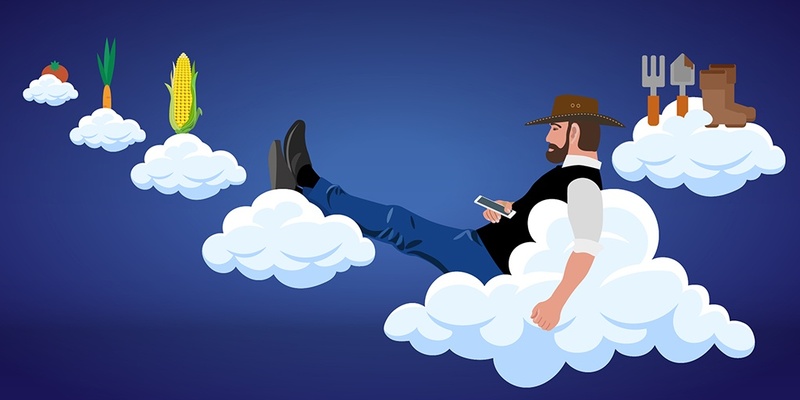 The Internet of Things (IoT) and digital disruption have taken many industries by storm—and the agriculture sector is joining the fray as well. 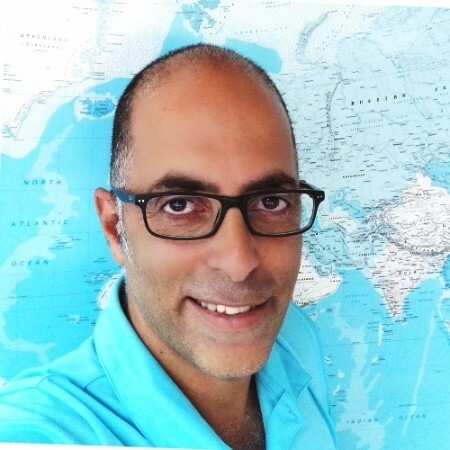 While there are long-standing theories regarding IoT use cases in agriculture, sensor usage and big data are becoming more practical. It’s hard to have a generalized conversation about irrigation system equipment and solutions because each different agricultural situation has its own nuances and challenges. However, presenting the main challenges and their solutions in a catchy though professional way can assist even the most experienced irrigation designers to understand, apply and present these solutions. For 50 years, BERMAD has been the recognized pioneer and world-leading provider of high quality hydraulic control valves. 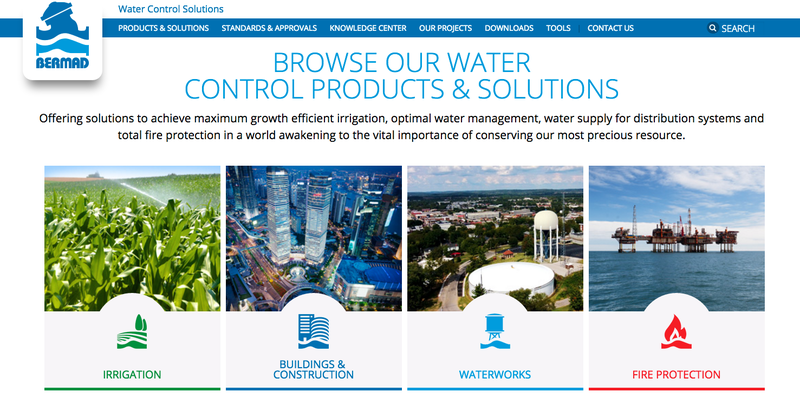 Today, we’re announcing our new website and blog as new means for us to strengthen our leadership in agricultural irrigation control and automation.